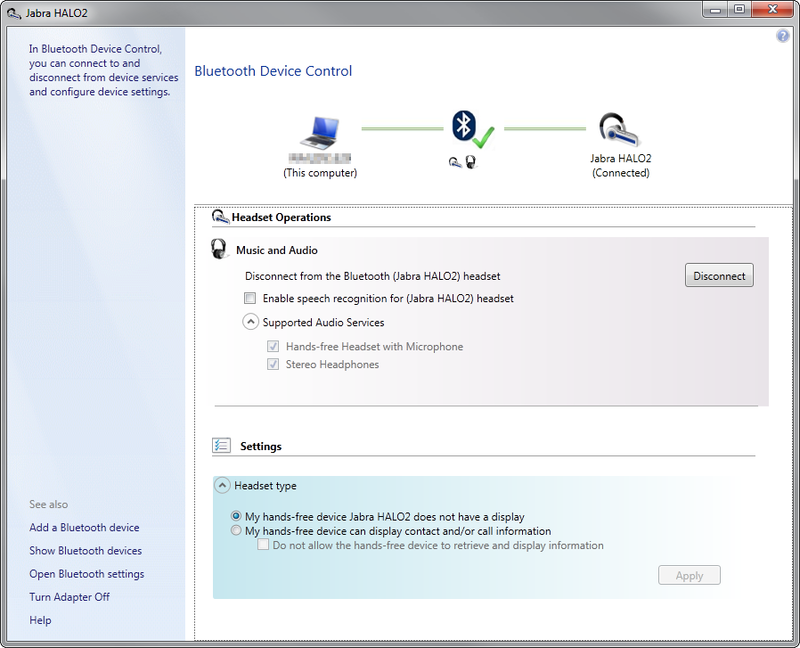 Recently I got Jabra HALO2 Bluetooth headset for teleconferences but had problems to get it work with Windows 7 and Dell Latitude E6530. Windows found the device and wanted to install drivers but couldn’t find any. 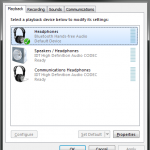 The solution was easy: update your laptops’ Bluetooth drivers. 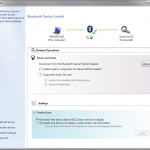 I downloaded Dell Wireless 380 Bluetooth Application version 6.5.1.4000,A02 from Dell’s drivers page and got it working. 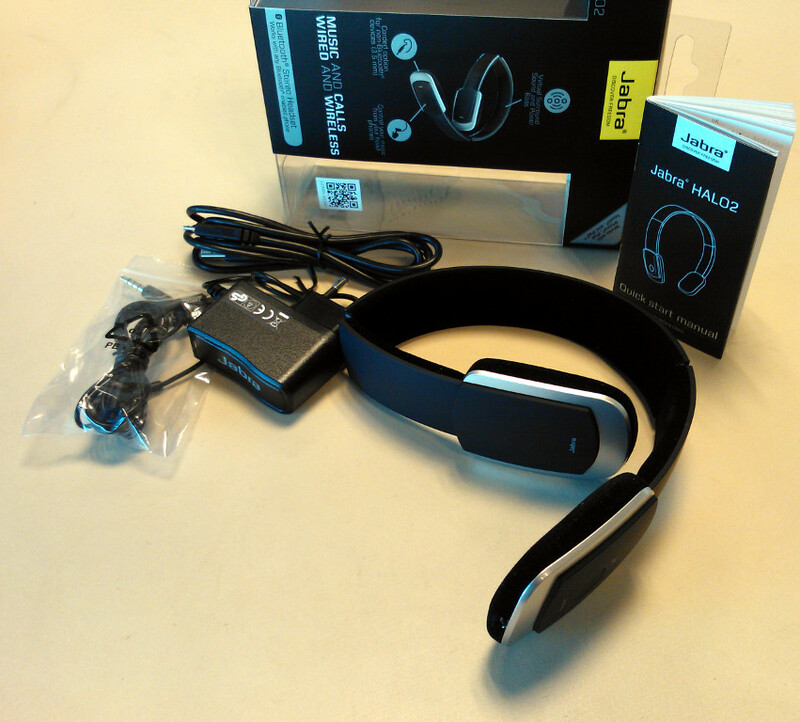 Jabra HALO2 is a wireless Bluetooth headset with dual microphone for noise filtering and can be paired with 2 Bluetooth-enabled devices. It can be also used with USB cable and 3,5mm cord and can control music player and sound volume. The battery last for 8 hours talk or music and 13 days on standby. 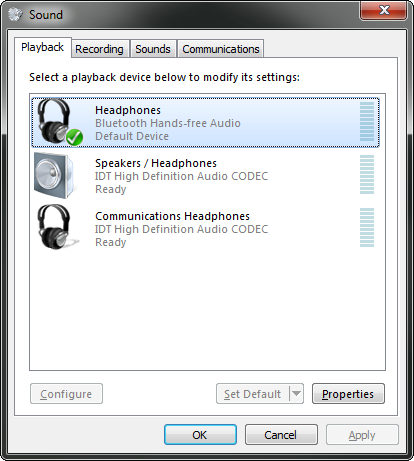 The wireless headset works with e.g. Windows 7 but some laptops like my Dell Latitude E6530 needs specific manufacturer’s Bluetooth drivers before Windows starts to play nice with them. 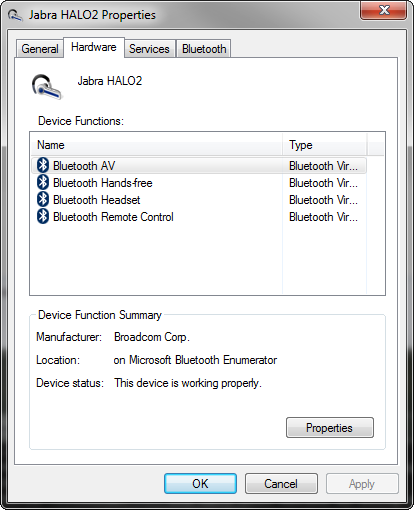 At first I got the “Bluetooth peripheral device driver not found” error when trying to connect a Bluetooth device and as the Jabra HALO2 headset doesn’t need drivers it was time to look for them from Dell’s support. 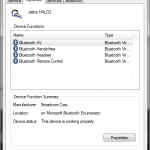 Dell’s drivers page doesn’t have Bluetooth drivers directly so I figured to get the “Dell Wireless 380 Bluetooth Application” version 6.5.1.4000,A02 (31/10/2013) which provides an application for DW380 Bluetooth. After installing the 245 MB package Windows started to install the missing drivers and the Bluetooth headset’s hardware functions got found: AV, Hands-free, Headset and Remote Control. I can’t say that updating the drivers will help everyone but what I searched about this issue it was the solution which got these and other Bluetooth headphones working with different laptops. The start with my new headset wasn’t the easiest but after I got it working the Jabra HALO2 Bluetooth headset works nicely and is pleasant to use for teleconferences with Lync and with my Lumia 800 mobile phone.